I spent a nice weekend on a Utö - lighthouse island on a Baltic Sea with a full moon on the sky. 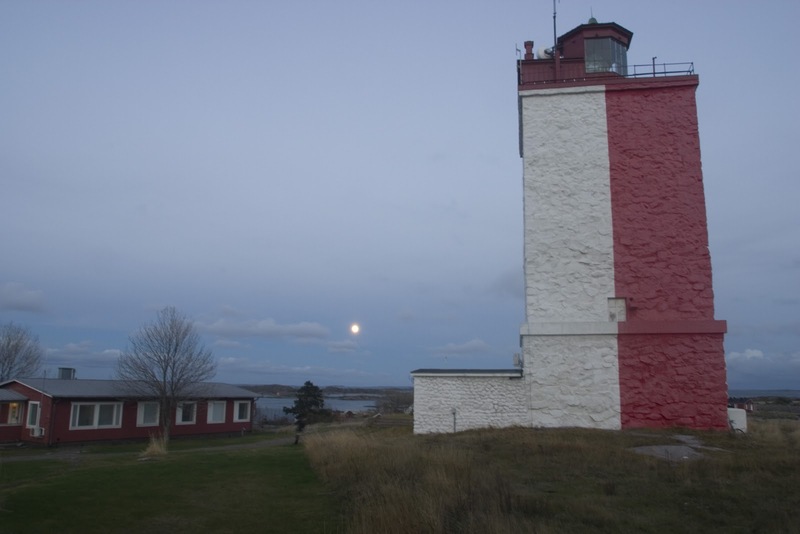 This weekend trip was organized by Finnish lighthouse society and there were alltogether 34 members enjoying pre-winter athmosphere on this remote island. Weekend was packed full of guiding and stories about the Utö lighthouse, the island and the people living there. When lying on the rocks in the darkness, looking the full moon and the light of the lighthouse and hearing the roaming of the waves hitting the shore I felt like I would have been another universe, far away from our civilisation travelling through the space guided by sparkling starts on the sky. You can follow our daily life on Märket from the diary.